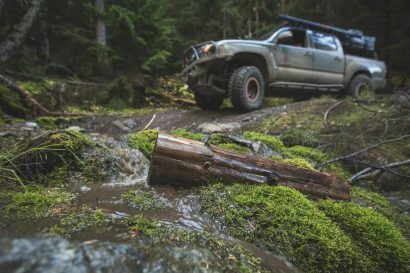 Editor’s Note: This article was originally published in Overland Journal, Summer 2016. 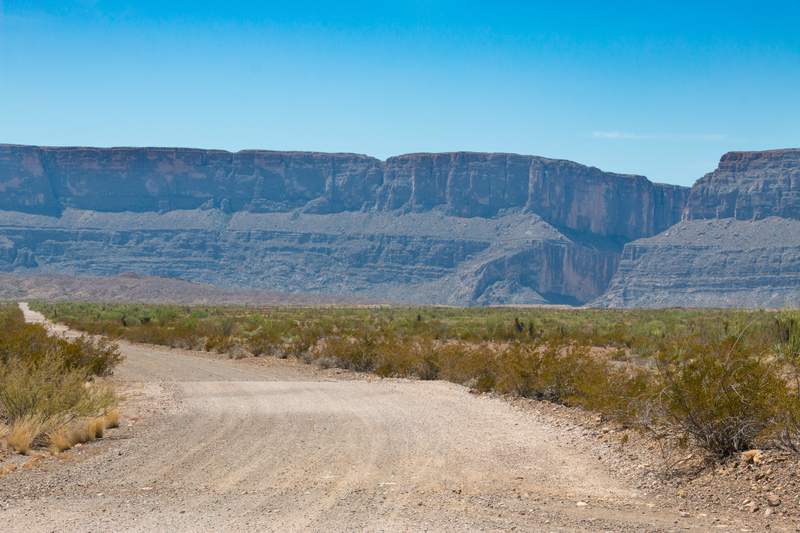 They say that everything is bigger in Texas, and standing in the heart of Big Bend National Park you’d sure believe it. 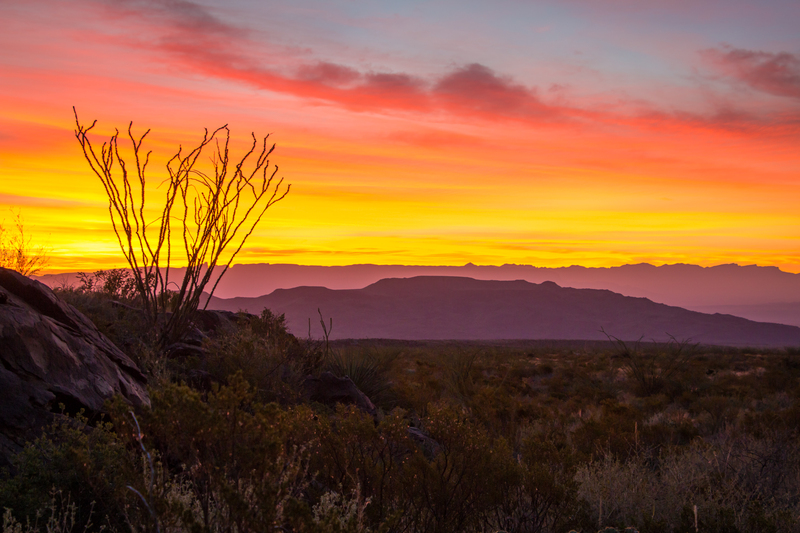 It’s a land of burning sunsets, soaring mesas, and enchanting vistas that sprawl toward the horizon until meeting softly with the deep blue of the West Texas sky. 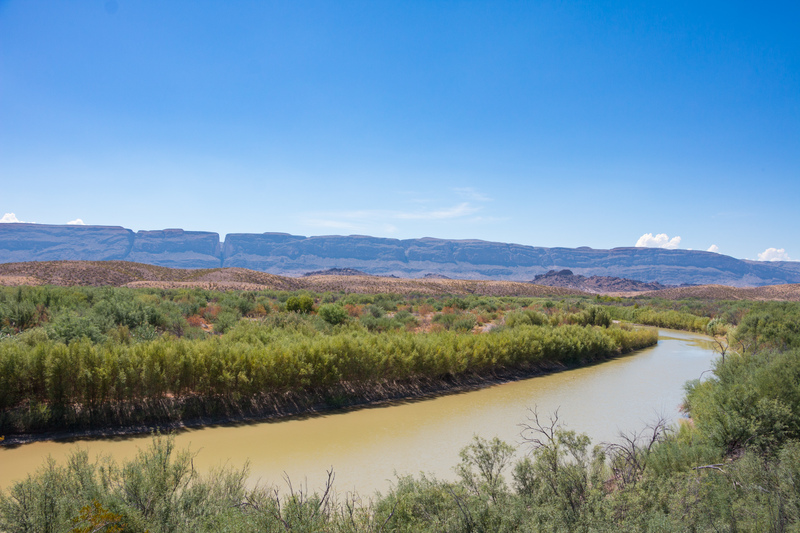 A place of simplicity and wide-open spaces, traffic means a rattlesnake on the road, and international commerce is a rowboat crossing to a sleepy Mexican town. In all, the park spans more than 800,000 acres and is as rugged, romantic, and wild as any Western film. 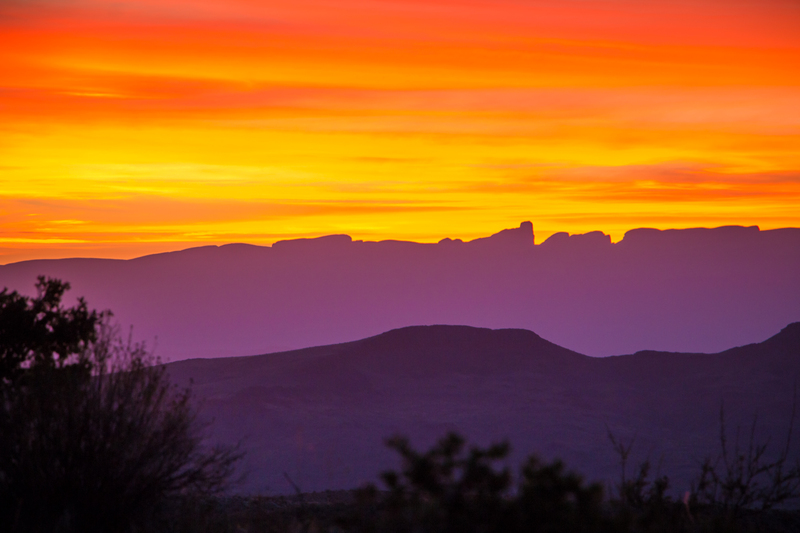 In spite of its harsh nature, people have called Big Bend home for thousands of years. 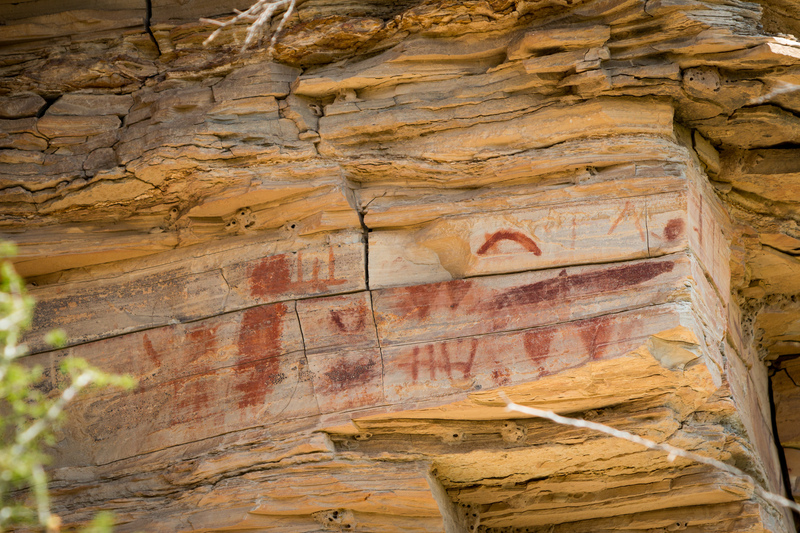 Signs of human life are seen as early as the Paleo-Indian period, around 8000 BC when inhabitants hunted large game in the then cool and wet climate. By 1535 AD, the Bend had become arid and desolate, and the Spanish had settled in to defend their northern borders from natives pushing south. Several presidios were established, but they were abandoned shortly after construction due to the empire’s dwindling finances and their inability to stop raiding parties. The following years held a lot of conflict for the area, but by the late 1800s the Mexican–American war was over, Texas had been annexed to the United States, and border disputes were settling down. 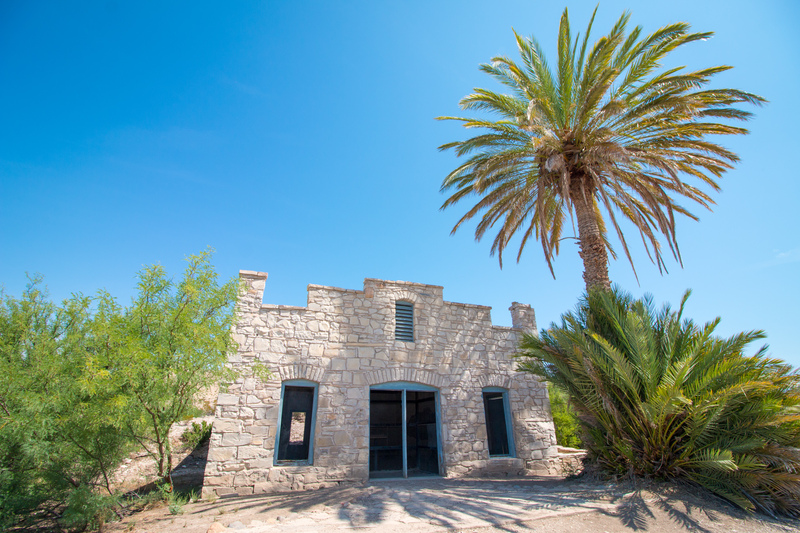 The Bend was peaceful once again, and ranchers and miners migrated from the U.S. and Mexico to form the towns of Terlingua, Boquillas, and several smaller communities. It would stay much the same until the 1900s when the land’s natural beauty led to its preservation as a National Park. 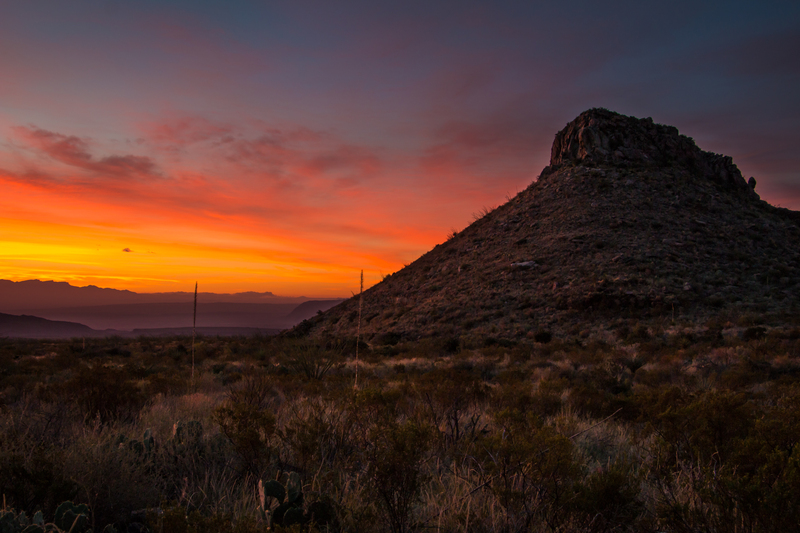 Today Big Bend is the largest protected section of the Chihuahuan Desert in the United States and contains some of the country’s most unique topography. Visitors are greeted by beautiful sky islands amidst parched valley floors, meandering river corridors with shady spots for a dip, and towering peaks over 7,800 feet high. It’s a geological masterpiece carved by volcanic activity, shifting seabeds, colliding continents, and raging rivers over millions of years. Although desert climates are best suited to small bushes and shrubs, plant life in this area is prolific thanks to the 6,000 feet of elevation change throughout the park. 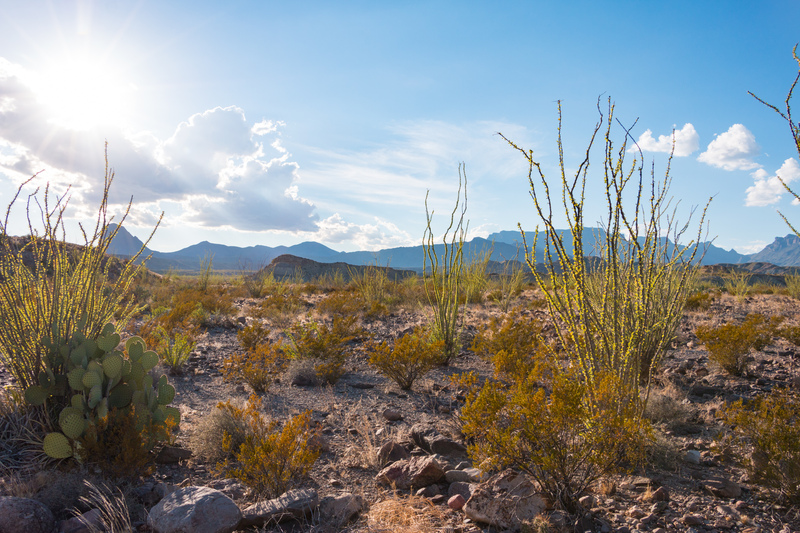 In total, over 1,000 species are found within its boundaries, including cacti, mesquite, yucca, and agave in the valleys; and more delicate specimens like Big Bend bluebonnets, ferns, and wildflowers in shady ravines and watery oases. There are even firs, maples, pines, and madrones found in the cooler temperatures of the high desert. Fauna is equally diverse, with 450 species of birds, 75 species of mammals, 56 species of reptiles, 40 species of fish, and 11 species of amphibians identified so far. The usual desert suspects appear including snakes, lizards, mice, and insects, but even deer and black bear have been known to roam the high country. As you would expect in a National Park, a large percentage of roads are paved for easy access. 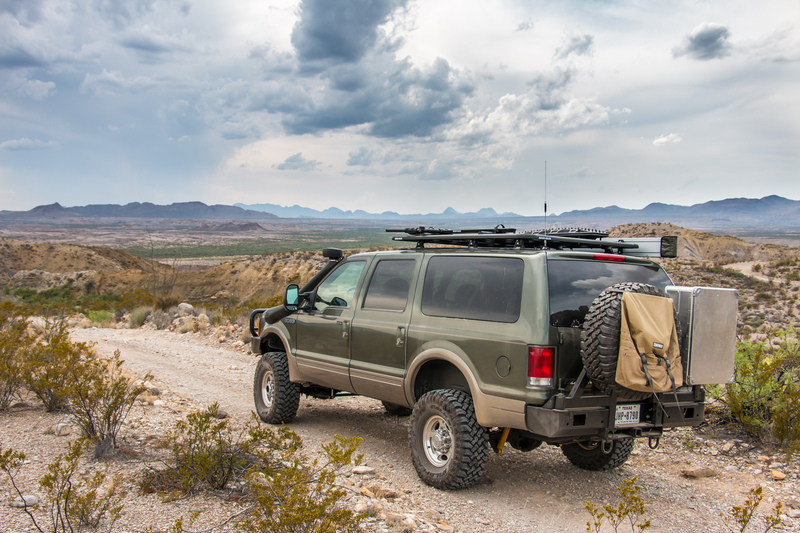 However, there are still plenty of backcountry miles to explore, including some challenging four-wheel drive tracks. 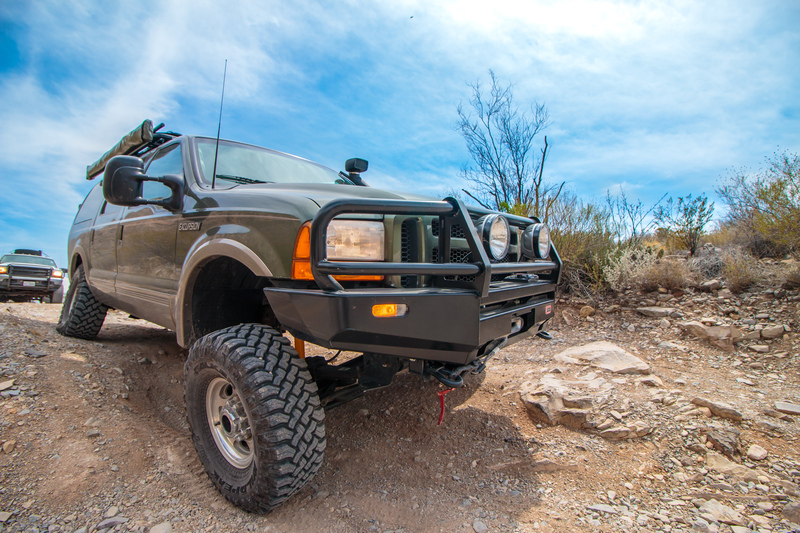 All but a few trails in Big Bend are suitable for AWD “soft-roaders,” and the lack of a high-clearance vehicle should not discourage you from visiting. 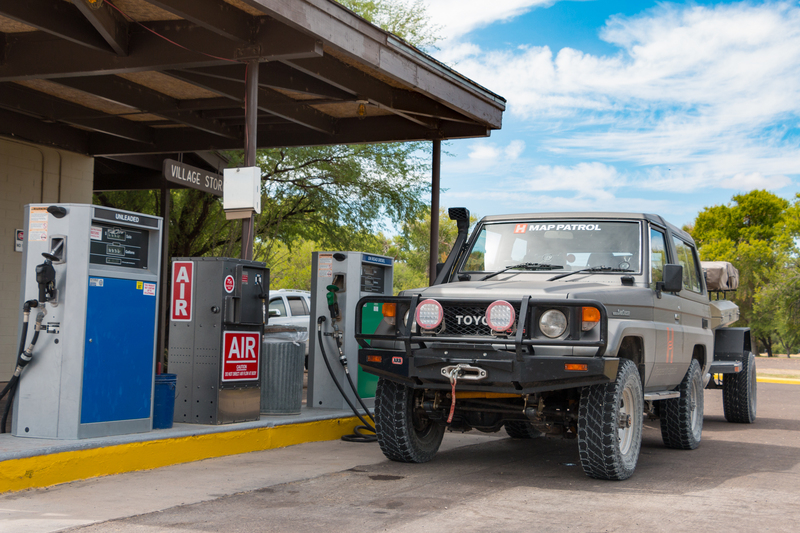 Our journey down to Big Bend begins in the quaint streets of Alpine, Texas, the largest gateway city to the park. 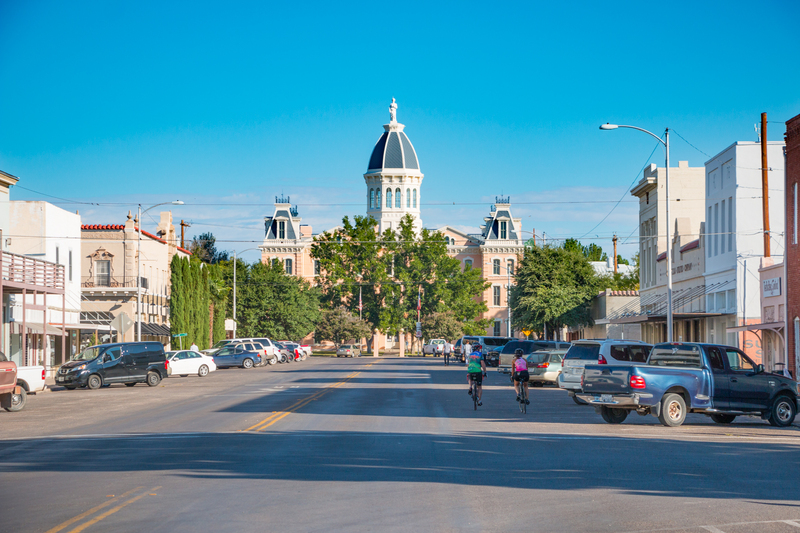 Although not as interesting as the quirky, art-fueled town of Marfa, Alpine contains two hospitals, repair facilities, and any last-minute amenities you may need. 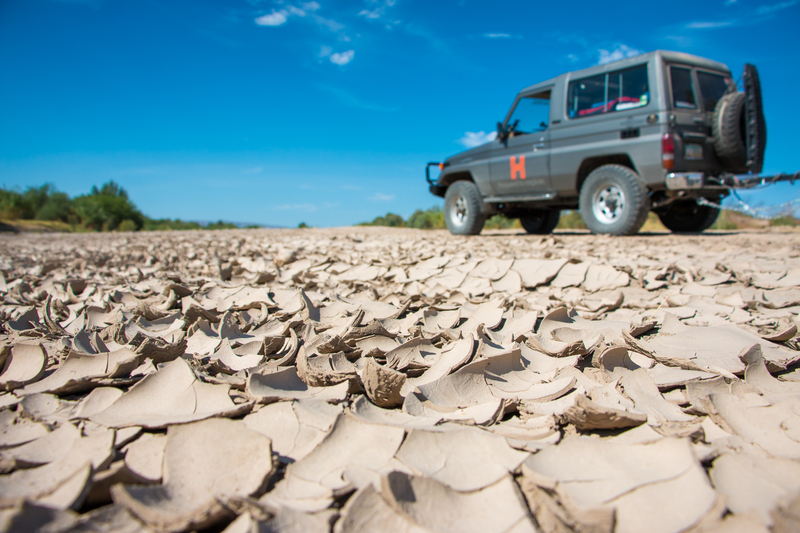 After filling up, drive south on State Highway 118, where the 87 miles of straight, flat pavement will let you contemplate just how large Texas really is. When the park finally comes into view you’ll be just a short distance from the dusty washboards of Old Maverick Road. 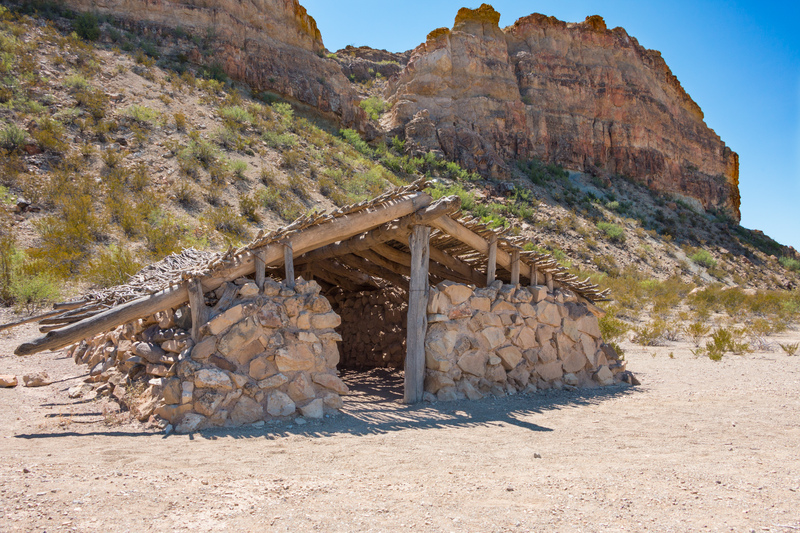 The driving here is fast and easy; be careful not to miss some of the hidden treasures like Luna’s Jacal along the way. This little hut was handbuilt by Gilberto Luna for his family, and he lived there happily until he passed away at 109 years of age. 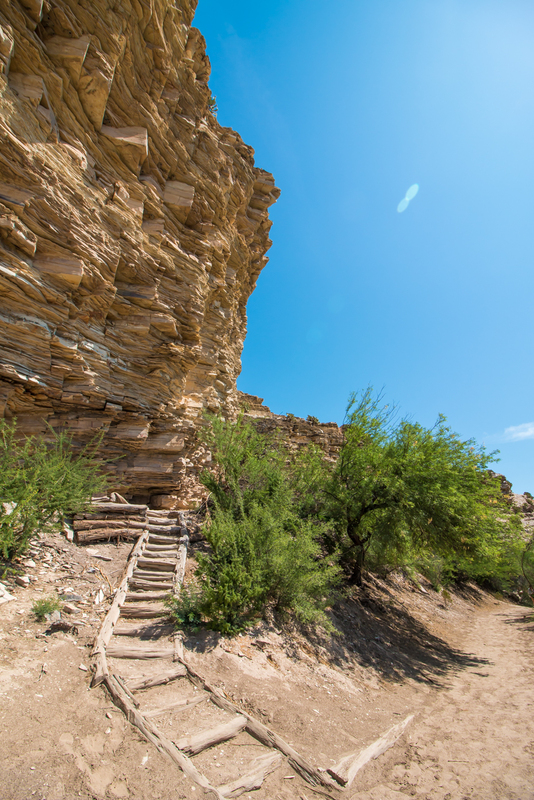 The end of this section is marked by the cool waters of the Rio Grande and ancient cliffs of the Santa Elena Canyon. It is here that you will turn east and follow the pavement for 10 miles to a more technical river road on the right. Keep an eye out for the historic store that sometimes encouraged good relations between the Mexican and American people. Wandering eastward, the ocotillo-lined trail snakes across desert ridges presenting some of the most scenic river views of the trip. 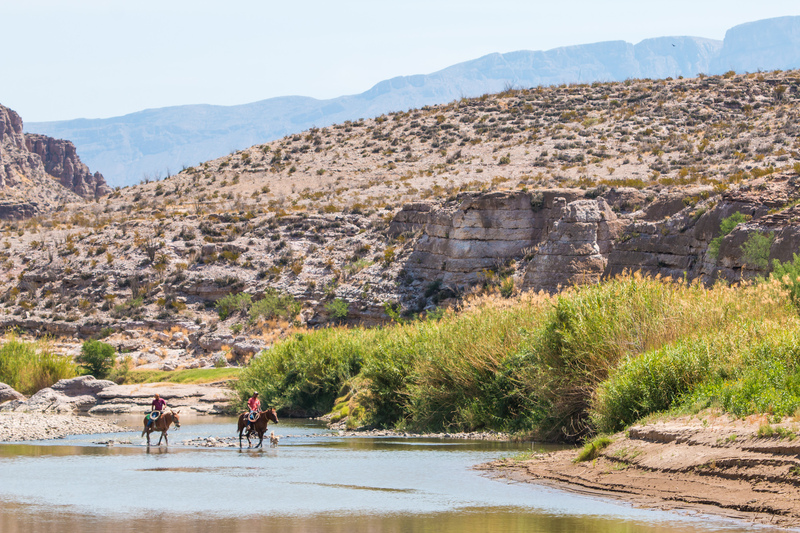 From various lookouts cattle can be seen roaming the opposite bank of the Rio Grande, a vaquero may give you a wave, and the rugged cliffs in the distance paint a perfect backdrop for a West Texan sunset. 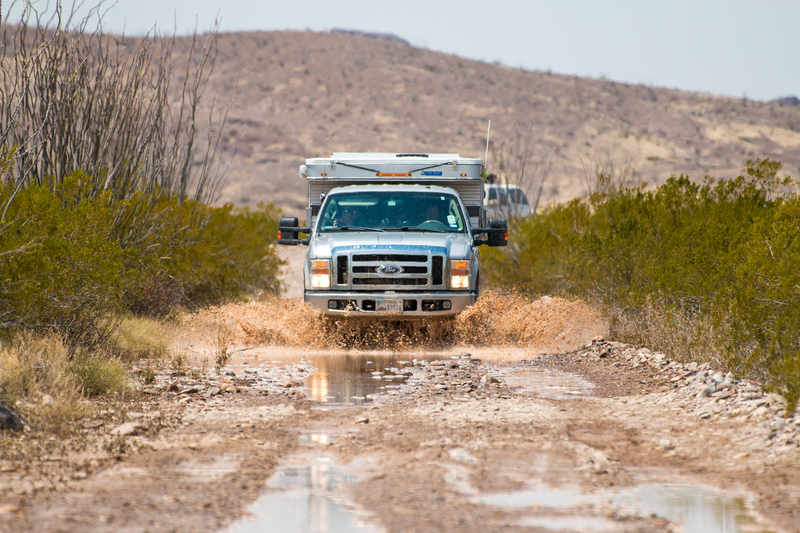 Fortunately, there are plenty of approved campsites to stop at along this stretch, and the rough roads keep the RVers at bay. 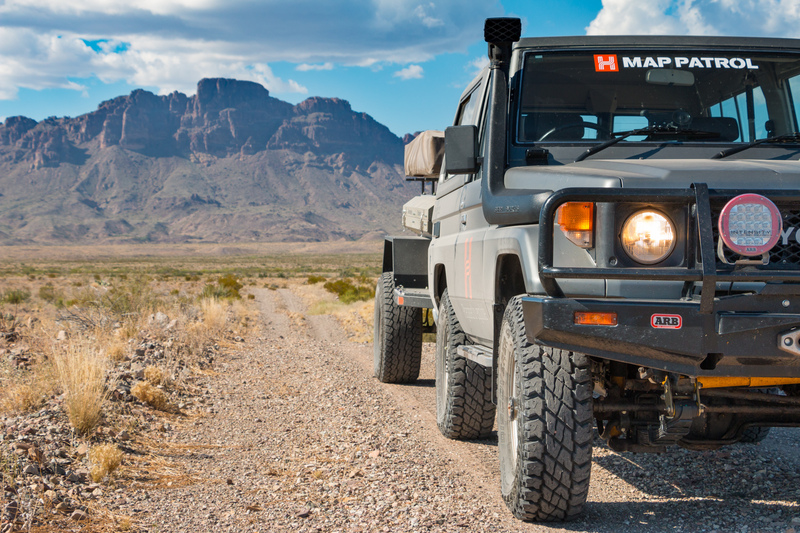 The track soon turns north, and you’ll be faced with a choice: go right for Mariscal Mine, or turn left, as we did, for Black Gap Road, the most challenging trail in the park. 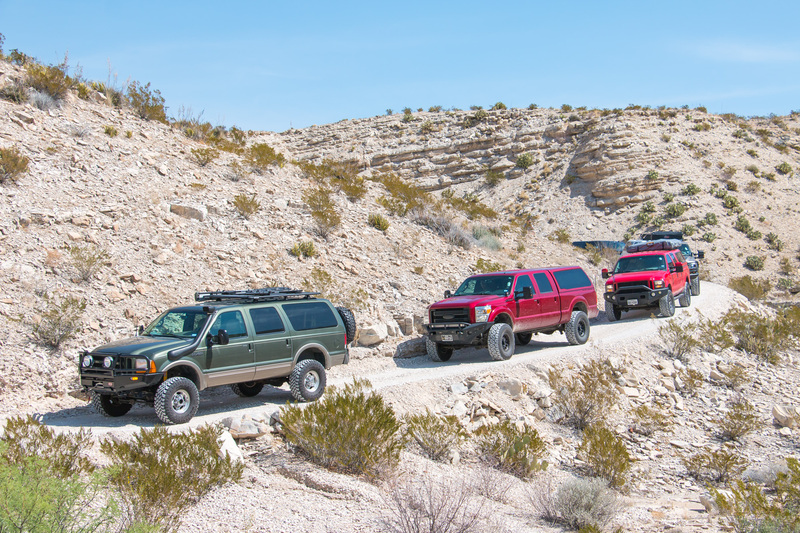 Careful driving and even spotting are recommended in the “Gap,” as traversing the series of rock steps through the canyon can test even the best drivers. It is narrow, has up to 2-foot ledges, and contains no bypasses. 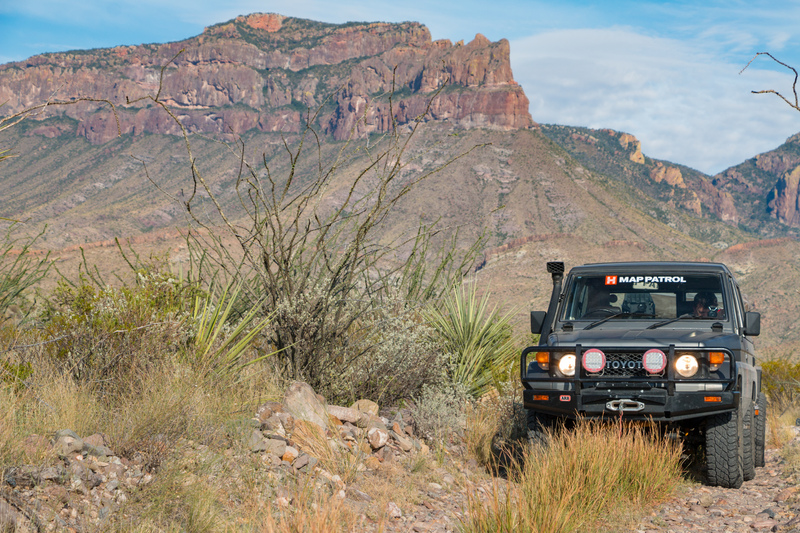 After conquering the crux of the trail, intercept Glenn Springs Road and turn left toward the Chisos Mountains. This lofty range provides plenty of opportunities for hiking, as well as some of the best campsites in the park. 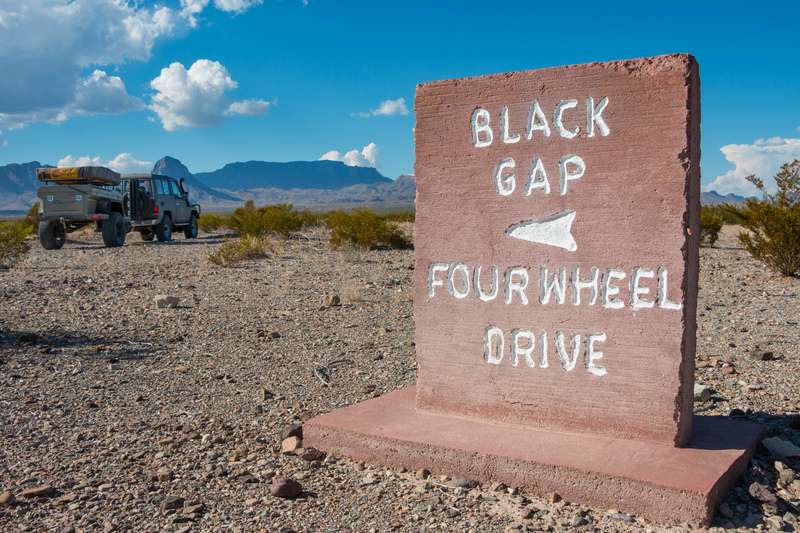 If you can tolerate the bumpy road to Twisted Shoe Camp you’ll be rewarded with stunning views of the valley, a midnight gaze at the Milky Way, and under the right conditions, a sunrise few places on Earth can match. Next, double back on Glenn Springs toward River Road East. 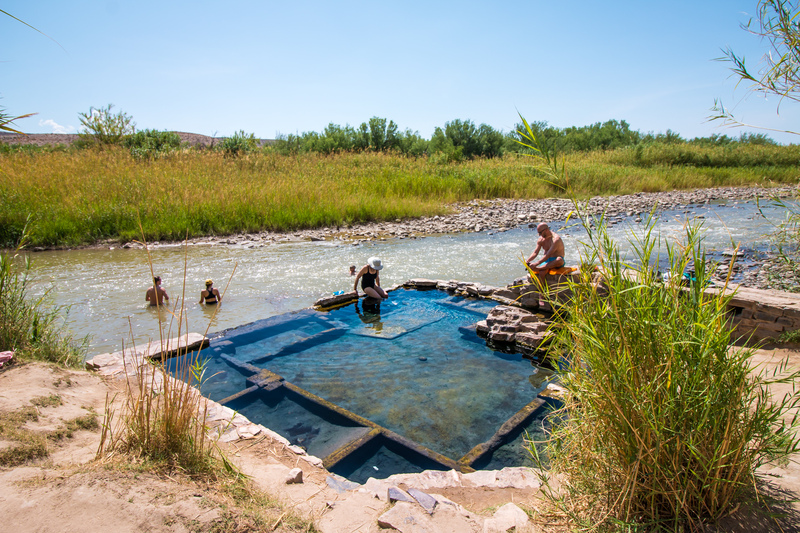 Here you’ll wind your way along the banks once more, until stumbling upon Big Bend’s little treasure: the hot springs. The one-way road to the parking lot doesn’t allow trailers, so plan ahead to walk or shuttle if needed. Insider tip: If the area is packed, or you need a more refreshing dip, keep hiking past the hot spring; there’s a small sandy spot perfect for a swim in the river. Feeling refreshed and ready for a little adventure? 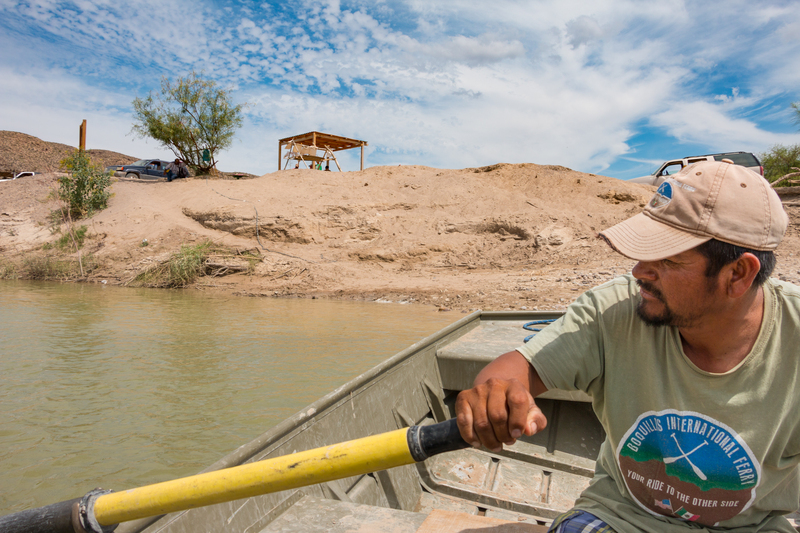 Head down the road to Boquillas Crossing, the only U.S. border we know of that must be completed by rowboat. 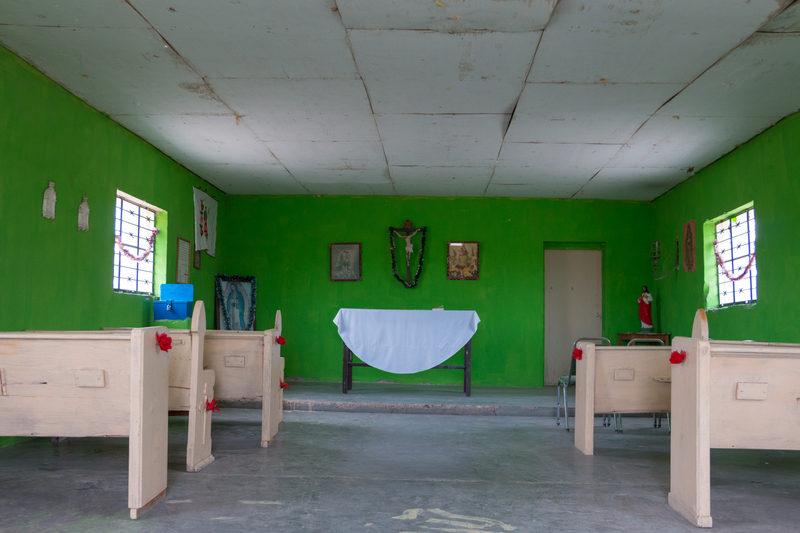 You’ll need a passport and cash to get there, but once in Boquillas del Carmen, the relaxed atmosphere will quickly lull you into a mañana state of mind. 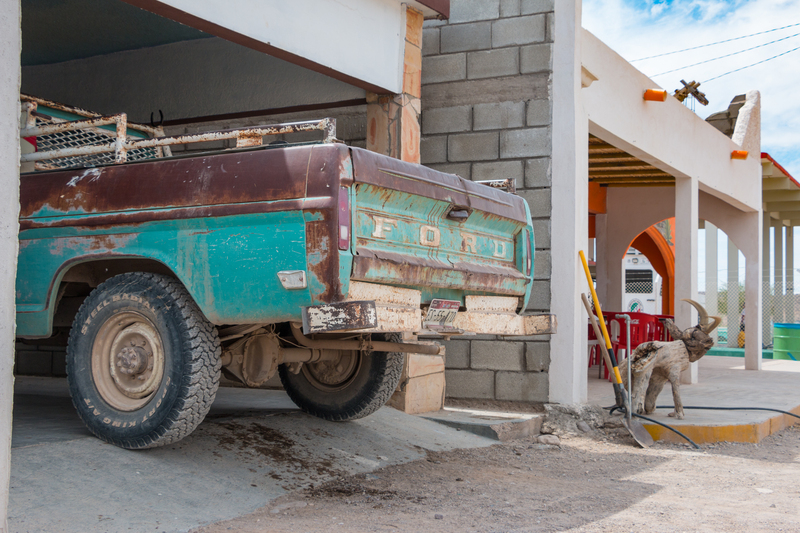 This charming community depends almost entirely on tourism, so don’t forget to enjoy some delicious tacos and cold cervezas while you’re there—they sure appreciate it. The last leg of the track leads up the Old Ore Road, a 26-mile stretch of dirt heading to the edge of the National Park. 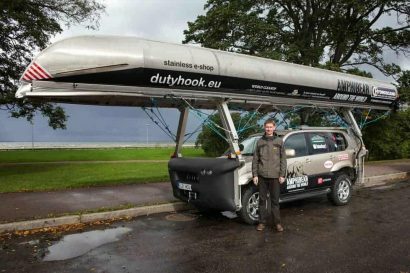 It’s dotted with abandoned ruins, the Ernst Tinaja, and even a grave or two, but the monotonous road conditions make it all too easy to breeze right through. Take some time to enjoy this place; you may just hear the ancient murmurs of an Indian chant, the faint crack of a revolver, or the soft echoes of Spanish spoken long ago. 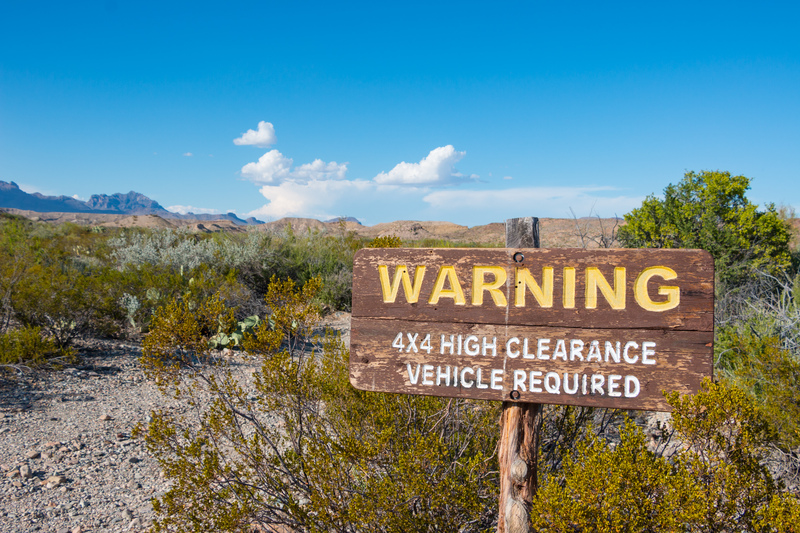 West entrance From Alpine, head south on SH 118 for 87 miles toward Terlingua. 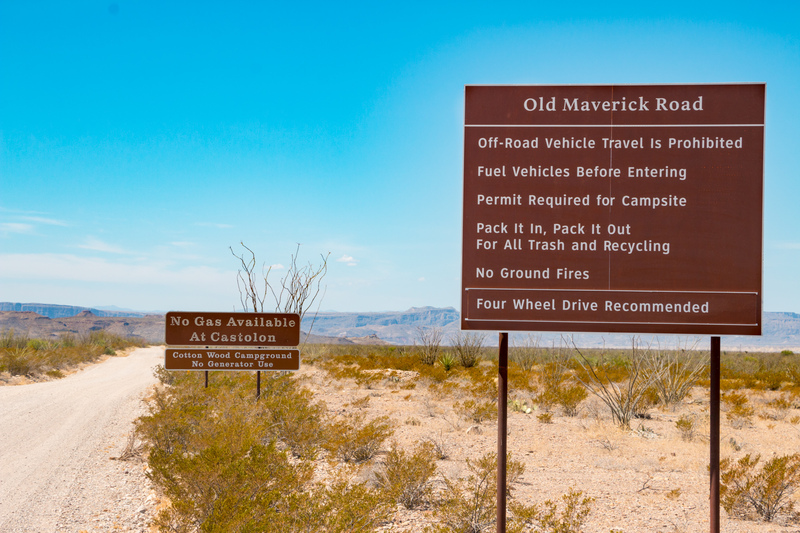 Upon reaching the Maverick Entrance Station, pay your fees and take the first right onto Old Maverick Road, where your route begins. East entrance From Marathon, head south on US 385 for 41 miles until reaching the Permission Gap Entrance Station. Pay your fees and continue 13 miles south to Dagger Flat Road and turn, proceed on route. The majority of this route is well maintained with only a few sections having moderate obstacles. We rate the entire track as easy due to Black Gap’s optional status, as well as the robust support structure of the park. 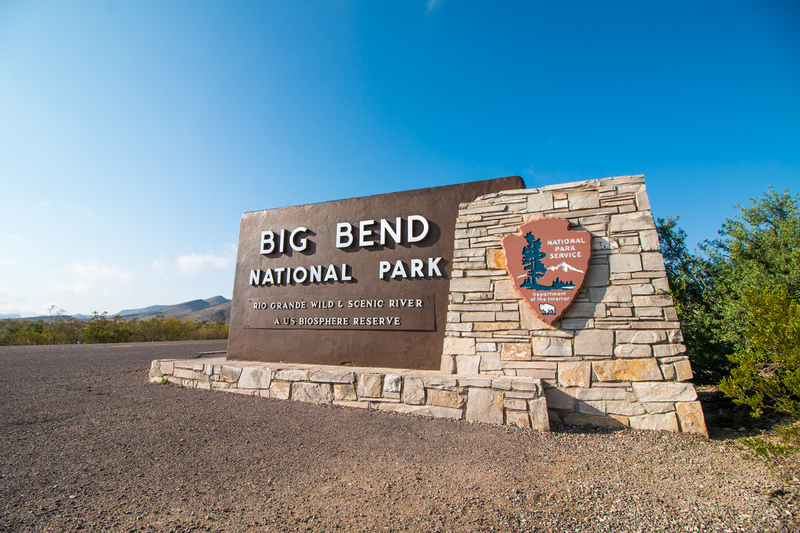 Big Bend is open year-round; however, summer temperatures can be sweltering, and many park facilities close. We recommend visiting in spring or fall when temperatures are moderate. Winter can also be pleasant, though nighttime temperatures may drop below freezing. Avoid holidays if possible as the park is often full during spring break, Thanksgiving, and winter break. 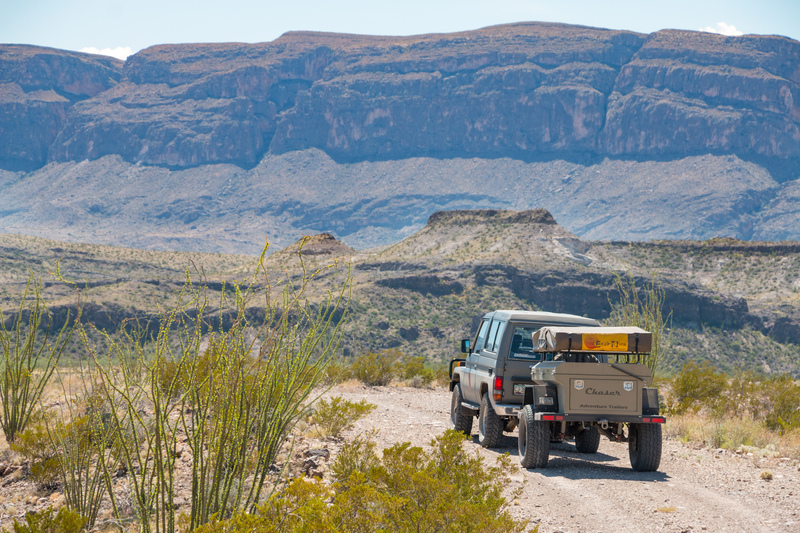 Big Bend National Park requires permits for day use ($25/car, $20/ motorcycle, $12/bicycle, 7-day pass) as well as for backcountry camping ($12/vehicle) and developed camping ($14/vehicle). You may only camp in designated sites. Permits must be obtained in person at the visitor center no more than 24 hours before your trip. The National Geographic illustrated map is quite helpful and highly recommended for the drive. A smaller free version is available on the National Park website. As always our team’s GPS track and points of interest are available through the Hema Explorer Cloud (cloud.hemaexplorer. com.au) under North American Map Patrol. Overland Route descriptions are intended to be an overview of the trail rather than turn-by-turn instructions. We suggest you download the Hema Explorer app and Cloud GPS track, as well as source detailed paper maps as an analog backup. As with any remote travel, conditions can change dramatically. Drivers should check road conditions with local authorities before attempting the route and be ready to turn back should snow or ice occur.